In 2004-2007 the European Union enlarged with the countries of the former Eastern Bloc, reunifying the continent after half a century of political and economic division. A consequence of the negotiations between the allies and the Soviets, who imposed after their rally to Berlin authoritarian regimes from the Baltic to the Black Sea, along the Carpathians, down to Pannonia and the Balkans to the Adriatic coast and up to Moravia and Pommerania. Values like freedom, democracy, free elections, constitution and human rights were reduced to slogans by these new regimes while former elites – potential opponents – from the most respected peasant to the University professor were judged by special tribunals, imprisoned, physically eliminated and replaced with new rulers, obedient to Moscow, who protected them by means of the “liberation” tanks of the Red Army. A system of values and the developments based on the achievements after 1919 was brutally interrupted by dictatorships of single party regimes, governed by a nomenklatura, often corrupt, who decided on the good and the bad, the right and the wrong, on the exports and imports, on the laws and the outlaws, on the truth itself, on what people were eating and thinking. Six decades after its last King’s forced abdication and the end of its democracy through the “stolen” elections of 1947, Romania became a member of the European Union. It took 12 years of negotiations and a hard transition and adaptation process. The country was accepted in the EU although it only almost fulfilled the accession criteria. The decision was fair, since the starting level was catastrophic in comparison with the neighbouring countries. Romania had to be released by the sacrifice of more than 1000 people in December ‘89, from a dictatorial regime that can maybe be compared with the one of Kim Jong Ung in today’s North Korea and the EU accession perspective on 1 January 2007 was the only and strongest driving force for the legislative, administrative, social and economic reforms done. A miracle many would say, bearing in mind that in the ‘90s the post-communist establishment was not yet convinced that the West was the right direction and was still using diversions from the class-struggle manuals when it brought miners to Bucharest in order to violently repress protesting students and intellectuals. Safeguard measures called the Cooperation and Verification Mechanism (MCV) were set up at the accession of Romania to the European Union in 2007, since the EU considered that further work was needed in key areas to address shortcomings in judicial reform and, the fight against corruption. Ten years later, in 2017, progress was so significant that the MCV was considered as having fulfilled its mission and the Juncker Commission intended to conclude the MCV before the end of its mandate. Laura Codruta Kövesi had a decisive role in this progress as Chief Prosecutor of the National Anti-Corruption Directorate (DNA) between 2013-2018 and as the youngest Prosecutor General in Romanian history, between 2006-2013. However, in 2018 she was dismissed by a Minister of Justice who is concentrating more and more power in his hands. His reasons were contested by the Superior Council of Magistracy and firstly refused by the President of the Republic who was then forced to sign by a Constitutional Court accused of being politicized. This is proof that rule of law reforms seem reversible in Romania when people with judicial problems abuse their political power. This dismissal followed an extensive offensive of the political parties who have the majority in the Parliament, aiming at changing radically the Laws of Justice and other legislation, limiting drastically the effectiveness of the fight against corruption, the independency of the judiciary, the separation of powers itself. This drove to impeaching investigations, invalidating definitive decisions of the Supreme Court, releasing condemned people from prisons since too crowded, etc. These changes observed by the last MCV report from 2018 culminated in the creation of a special prosecution department against magistrates which was placed by the recent Government “Emergency” Ordinance No. 7/2019 outside the control of the General Prosecutor, and thus potentially an instrument in the hands of the Minister of Justice. This measure generated an unprecedented and still ongoing protest by the Romanian magistrates. Under these circumstances, two “coincidences” happened: the special commission summoned Laura Codruta Kövesi on the day of her hearings in the European Parliament in the selection process for the appointment of the European Chief Prosecutor and for a second time on 7 March 2019, the day on which the Conference of Presidents will decide the next steps to follow in the negotiations by the European Parliament with the Council of the EU. People fear that Ms Kövesi will face artificial corruption allegations in order to create controversy around her candidacy. This would aim at weakening the determination of the Parliament, whose LIBE Committee elected her as favourite candidate, in the negotiations with the Council. Here, the Romanian government who is holding the EU Council Presidency had allegedly a contribution to the designation of the French candidate in pole position. It is unprecedented and against all diplomatic practices, against good sense, against any national interest, that a government does not support the candidacy of its own national who is running for such an important European function. Moreover, of the candidate considered by the technical selection committee as the best qualified for the position and who is depending on a political decision only. A notable exception is maybe the recent designation of Donald Tusk as President of the European Council, despite the boycott of a government who is diverting Poland from the European values, from the respect of democracy, rule of law and separation of powers. It is a shame that Romania, from a position of champion of the euro-enthusiasm of the commitment to European integration risks being deviated from its well deserved and painstakingly achieved European trajectory by a political leadership with neo-authoritarian and illiberal deviations and pushed in the camp of other opponents of the European project from the former communist states. A famous Romanian journalist, Cristian Tudor Popescu, considers that the appointment of Laura Codruta Kövesi in this European position could represent a “Stalingrad moment” for the anti-European and anti-rule of law offensive of the Romanian ruling party. Even more than that: a strong signal to all Eastern neo-authoritarian regimes that Europe assumes a courageous option and appoints as guardian of its interests – be it financial, be it legal – a well-known and efficient defender of European values, with victories obtained in the hardest battlefields against corruption and against political pressure, in those countries where the these values are the most under threat. Probably the easiest solution, the most comfortable for everyone in Brussels would be to appoint a noncontroversial person, a prosecutor with European experience, with diplomatic skills, with perfect knowledge of foreign languages, from a predictable, respected Member State who is at the heart of the European project, at the heart of the process who drove to the creation of this European institution itself. Opting for the candidate from an area of Europe where the news about the attachment to the European project begins to be contradictory, where not everyone can really understand the context, the recent history and what these people and their governments really want, might seem complicated. 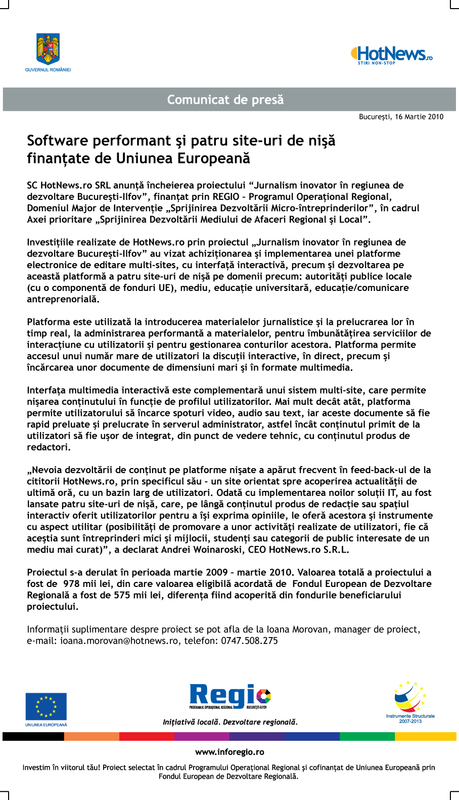 But more than 146,000 Romanian citizens (European citizens) speak in favour of the appointment as European Prosecutor of Laura Codruta Kövesi, not only those who signed the online support petition for her candidacy initiated by the civic platform Declic and who were represented in Brussels on the day of her hearings in the European Parliament. Not only those 600,000 who were protesting and resisting on the streets in 2017 to block the intentions of the government and the Parliamentary majority to pronounce amnesty for people convicted for corruption, to mutilate the Laws of Justice and the fight against corruption. These people were shouting for the need to enforce the law even among politicians by the National Anticorruption Directorate led by Kövesi. 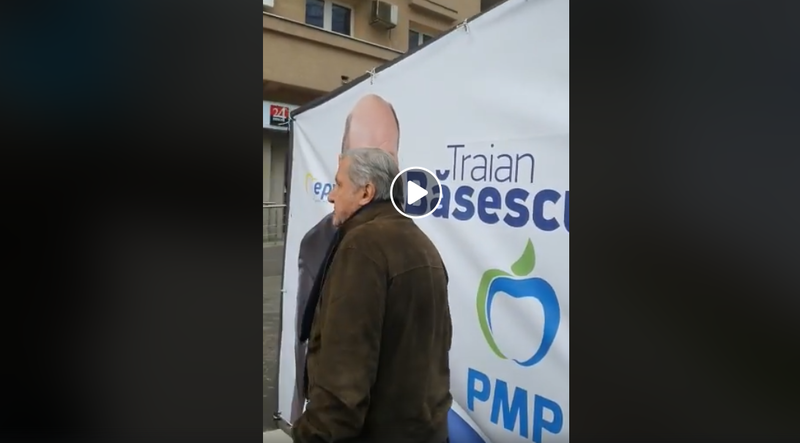 Finally, not only the one million Romanians who signed the citizens legislative initiative “Without criminal offenders in the public functions” speak for her candidacy. Most of all, the European interest itself speaks in favour of Ms Kövesi’s appointment. It is essential in the current context of Euroscepticism that Europe acts with determination, courageously and that it recognises the efforts, the work and the sacrifice of a person who believes in European values, who believes in her country, who has proven the capacity to win combats for these values, no matter how big the “fish” were and how influential in the establishment. Most probably these fish might feel threatened today again, when Laura Kövesi was first ranked in the technical selection and was appointed by the European Parliament, the EU institution representing the citizens, as their favourite candidate for a supranational prosecution function. One should not forget that that in November 2017, following an OLAF investigation, “the Romanian National Anticorruption Directorate (DNA) accused Liviu Dragnea, the leader of the Romanian ruling party, of fraud with European Union (EU) funds, of creating an organised criminal group, and of misusing his position for personal gain”. Maybe this is also the reason anti-European rhetoric appears more and more often in the speeches of the party leader and of his Prime-Minister Viorica Dancila (N.B. he is not able to carry out the function himself since he was sentenced definitively and irrevocably in 2016 for electoral fraud with suspension of execution of the sentence). The appointment of Laura Codruta Kövesi as EPPO Chief would be a strong signal from Europe to the people of Hungary, Poland and Romania, who seem to be more sensitive to fake news and populism, given that in their history similar propaganda of the ruling parties has replaced the truth too much and too often. The signal for all European citizens who will vote in the European elections at the end of May and who still believe in the European Union should be that Europe is not abandoning its soldiers on the battlefield. Laura Codruta Kövesi is one such soldier since she is the one who had the most important role in making effective the EU requirements from the MCV in terms of the fight against corruption in Romania. Europe should be able to prove that it assumes its principles and is strong enough to defend itself when faced with the most severe threats in its history: the threats against its values, among which, the rule of law, legality.